During my first few days of driving on the BF Goodrich g-Force Sport Comp-2, I could definitely tell there was less grip than the Dunlop Direzza Z1 Star Spec. This was a result that I had expected, and was not surprised at all. Despite the lack of grip compared to the much stickier Dunlop tires, the BF Goodrich tires still perform very well during spirited driving. During hard cornering, the rear of the car does feel like it wants to snap oversteer a bit when getting back on the throttle. 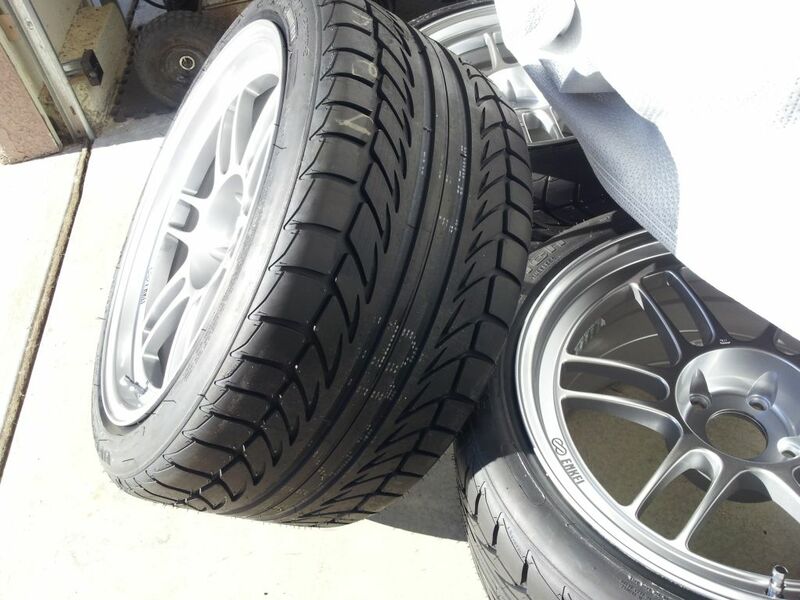 This was no different than the OEM Bridgestone RE050 tires. Considering that these tires saved me a total of $400 over the Bridgestones, and have roughly 2.5 times the tread life, I am pretty happy with their performance. From a daily driving stand point, the BF Goodrich tires are definitely a much better choice than the Dunlop tires I previously had, and even the OEM Bridgestones. There seems to be far less road noise compared to when I had the Bridgestones or the Dunlops installed. The ride quality is also much better than both tires. Since the BF Goodrich tires have a lower rolling resistance than the Dunlops, I was seeing my fuel economy climb back up to the same range as when I had the OEM tires installed. I definitely consider this a plus as the Dunlop tires were routinely getting me an average of two MPG lower on my daily commute. When the rain did finally come, I could not make out much of a difference in performance between the Dunlop tires and the BF Goodrich tires. This is mainly because I tend not to try anything drastic, or do any testing when it rains. Nonetheless, I found this to be a positive sign as it shows my new tires perform equally well in the rain during daily driving compared to my old, stickier tires. The BF Goodrich g-Force Sport Comp-2 is definitely a great tire. If you are in possession of a sports sedan, sports coupe, or sports car, this is definitely a tire to consider. It offers great dry and wet performance for daily and spirited driving, has a fairly long tread life for a summer tire, and is relatively inexpensive for a summer tire. I am not sure this would be the tire to pick if you planned on doing anything motorsport related, but for daily driving, this is a tire I would definitely recommend.